Our intention to explore the fiesta last night lasted, oh, ten minutes or so before we determined a nap was required. Just a brief one, a power nap to revive, to ensure we’d be fit to party on with the best of the citizens of Leon. That power nap ended at 7:30 this morning. All is not lost! The cafe across the road from our Pensione specialises in this delicious delight. It turned breakfast into a party. One that was happily conducted beneath a photo of Victoriano Cremer, the famous poet of Leon, eating the same. His smile was as broad as mine – it really is the most delicious thing. The cafe holds a small collection of his works with the proud sign: Desde aqui Cremer veia Leon. We took a leaf out of his book and returned there for lunch: ensalada mixta y pan con tomate – equally as delicious as my breakfast but less wicked. All that chocolate kept me going right through the important business of shoe shopping. A lot can be achieved with a few words and a big dose of good will. 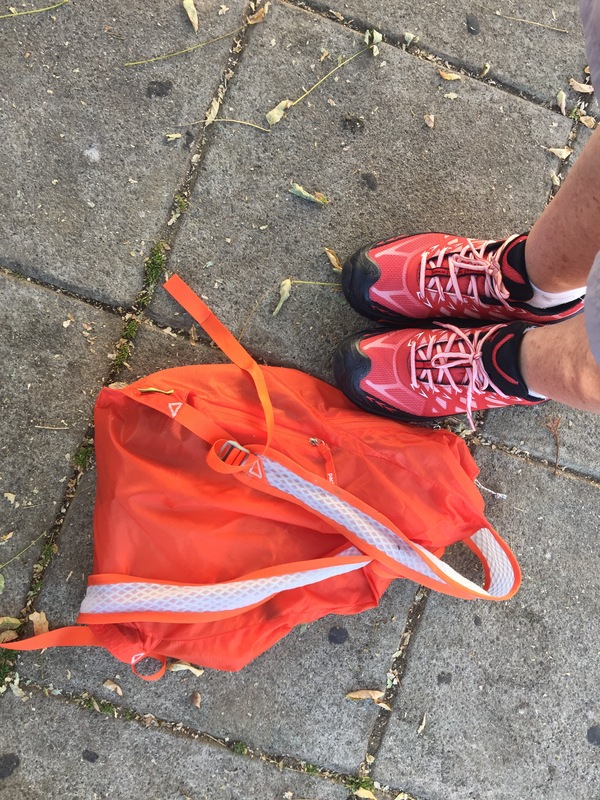 The assistant at the sporting goods store excelled, and I have a new pair of shoes which feel pretty much like my old ones, except newer. I’d imagined my first pair of Spanish made shoes would be a little classier, a little more sophisticated, more flamenco than camino. However, I’ll be easy to spot along the way – until the dust of the road turns them grey brown. A lovely almost but not quite match with my oh so classy handbag. We walk on tomorrow, probably to Villar de Mazarife, 20 or so kilometres further along the way. 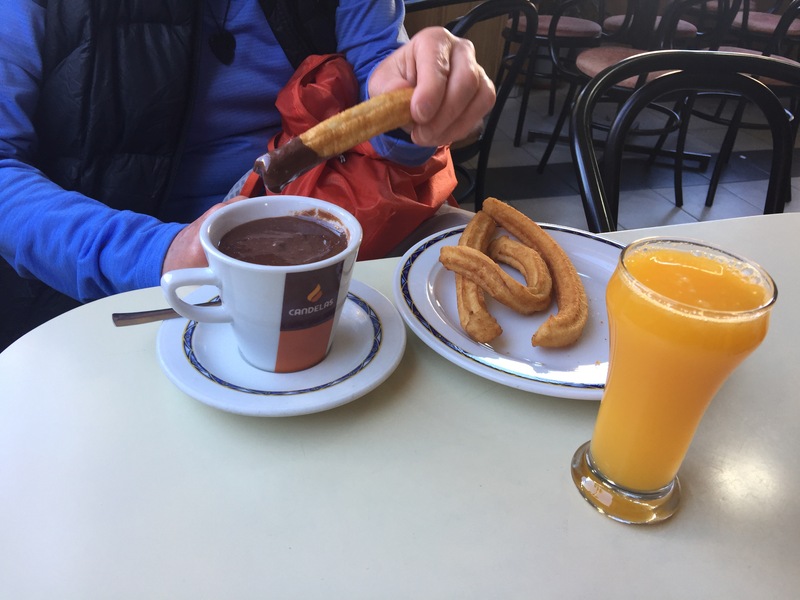 This breakfast with churros and chocolate looks like heaven.